It’s amazing how, suddenly, cars that you previously couldn’t give away take on a collectable status. And that’s what’s happened to the Austin Allegro. Once derided, Birmingham’s dumpling-on-wheels is now hot property. Or at least moderately tepid. Yes, the Allegro has quite a cult following. Whether it’s an overdue appreciation of designer Harris Mann’s bathtub curves, or the British love of the underdog, what was once an icon of all that was wrong with the British Motor Industry is regarded with warmth and affection. As a result, Allegro prices have shot up. 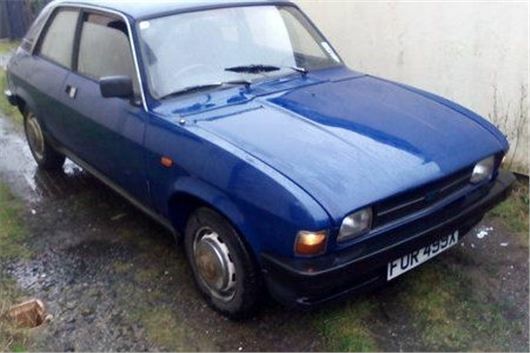 Gone are the days when you could pick up a runner for less than £200, which makes this example a potential bargain. We’re not convinced by the non-original seats, and it has a few cosmetic bits that still need sorting out, but a solid shell with a recent respray make it perfectly presentable. It’s a base model with the 998cc A+ engine developed for the Metro, so it’s no ball of fire, but because it’s an A-Series it’s also eminently tuneable, if it even bothers you. In retrospect, the Allegro is also probably a far better car than it ever got the credit for, too. In terms if rust resilience, it certainly fared better than most of its British Leyland contemporaries, or its other rivals for that matter, while the supple Hydragas suspension gives it a decent ride, coupled to half decent handling – it’s like a Mini that’s had one too many pies. Where is the "Quartic" steering wheel BL made such a fuss about?